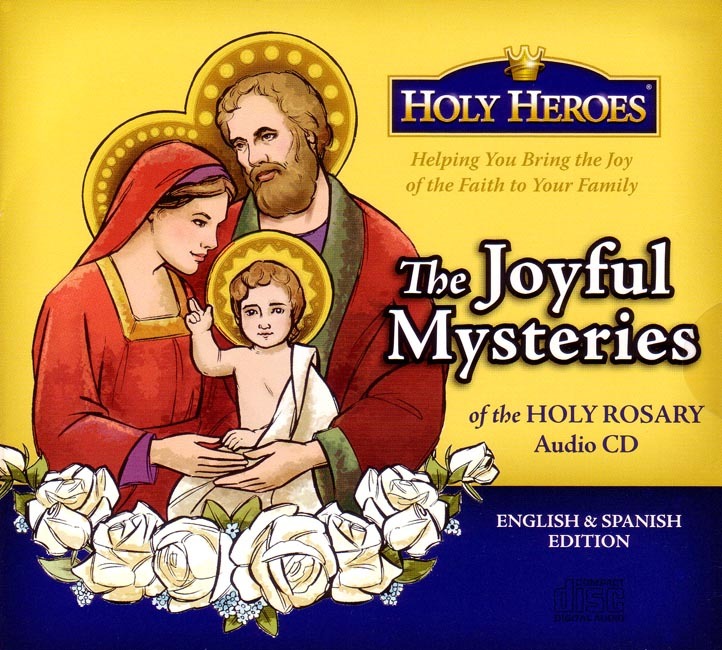 The first of the 4-volume set of the Mysteries of the Rosary includes an overview of the rosary, how to pray it, and a Scriptural rosary including more than a dozen children. Each mystery is introduced by an explanation of ‘what happened in the mystery’, then before each ‘Hail Mary’ a child reads a verse from the Scriptural revelation of the mystery. At the conclusion, hear the exciting part the rosary played in the naval battle called ‘The Miracle of Lepanto’. Original orchestral music by Eric Genuis aids the beauty of the meditations. (Approx 30 minutes English plus 30 minutes Spanish).